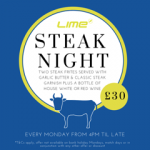 We will be releasing a new menu at Lime shortly – please check back soon for details. 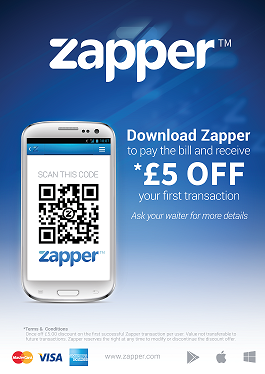 Download the payment app Zapper on your smart phone and receive £5 off your total bill this summer. 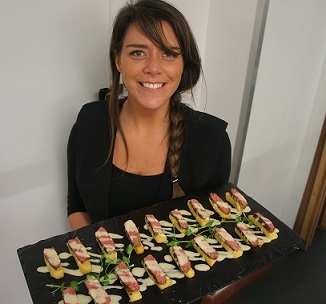 Thanks to all the staff for what was a successful outside catering event for Lime last Saturday. Always great to work with the brilliant TLC – what a party! Email jv@limeuk.com for any outside event enquiries. 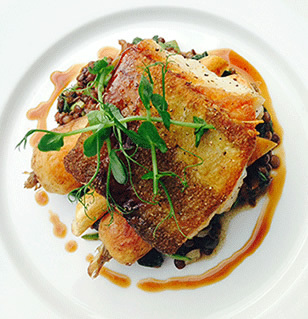 Come and join us for our pre theatre dining. Pre theatre menu; Two courses £17.95, three courses £20.95. Available Tuesday to Saturday 5-8pm.